Goals: Blake Schindel (2), Dylan Lefebvre (2), Adam Stewart (2), Dallan Larson. Assists: Kyle Bellegay (2), Patrick Belisle (2), Dylan Lefebvre (2), Jesse Duncan, Justin Hoffman, Dallan Larson, Spencer Watson. Goals: Dylan Lefebvre (3), Blake Schindel (2), Dallan Larson (2), Adam Stewart (2), Mason Belanger (2), Kyle Bellegay, Jesse Duncan, Justin Hoffman, Brandon Whitehouse, Spencer Watson. Assists: Dylan Lefebvre (6), Dallan Larson (4), Blake Schindel (3), Brandon Whitehouse, Mason Belanger. Goals: Travis Williams (5), Blake Schindel (3), Kyle Bellegay (2), Stephen Watson, Joe Laprairie, Dallan Larson, Spencer Watson, Mason Belanger. Assists: Joe Laprairie (4), Mason Belanger (4), Kyle Bellegay (3), Spencer Watson (3), Blake Schindel (2), Ben Pominville, Travis Williams, Stephen Watson, Dallan Larson, Brandon Whitehouse. Goals: Justin Hoffman (2), Dylan Lefebvre (2), Mason Belanger (2), Adam Stewart. Assists: Kyle Bellegay (2), Justin Hoffman (2), Cassidy Spillmann, Aiden Kerslake, Blake Schindel, Patrick Belisle, Dylan Lefebvre. Goals: Dallan Larson (3), Mason Belanger (3), Travis Williams (2), Kyle Bellegay (2), Adam Stewart (2), Patrick Belisle, Justin Hoffman, Dylan Lefebvre. Assists: Brandon Whitehouse (5), Kyle Bellegay (3), Blake Schindel (3), Dylan Lefebvre (2), Mason Belanger (2), Carson Mayer, Travis Williams, Aiden Kerslake, Dallan Larson, Adam Stewart. Goals: Adam Stewart (4), Joe Laprairie (3), Kyle Bellegay (2), Blake Schindel (2), Travis Williams, Dylan Lefebvre, Mason Belanger. Assists: Dylan Lefebvre (5), Kyle Bellegay (3), Mason Belanger (3), Joe Laprairie (2), Tyson Hain, Blake Schindel, Patrick Belisle, Adam Stewart, Reid Ewen. Goals: Blake Schindel (2), Dallan Larson (2), Dylan Lefebvre (2), Brandon Whitehouse (2), Spencer Watson (2), Adam Stewart (2), Mason Belanger (2), Travis Williams, Tyson Hain, Patrick Belisle, Scot Pominville. Assists: Brandon Whitehouse (4), Kyle Bellegay (4), Stephen Watson (3), Justin Hoffman (2), Mason Belanger (2), Travis Williams, Aiden Kerslake, Blake Schindel, Arden Ballantyne, Dallan Larson, Adam Stewart. Goals: Blake Schindel (2), Nolan Slusar (2), Dylan Lefebvre (2), Carson Mayer, Joe Laprairie, Dallan Larson. Assists: Kyle Bellegay (3), Dylan Lefebvre (2), Tyson Hain, Aiden Kerslake, Joe Laprairie, Jesse Duncan, Dallan Larson. Goals: Blake Schindel (3), Joe Laprairie, Spencer Watson, Adam Stewart. Assists: Travis Williams, Kyle Bellegay, Joe Laprairie, Adam Stewart. Goals: Brandon Whitehouse (5), Travis Williams (4), Blake Schindel (3), Kyle Bellegay (2), Aiden Kerslake. Assists: Joe Laprairie (5), Adam Stewart (5), Brandon Whitehouse (3), Kyle Bellegay (2), Travis Williams, Blake Schindel, Justin Hoffman, Tye Sabean. Goals: Kyle Bellegay (3), Dylan Lefebvre (3), Stephen Watson (2), Blake Schindel (2), Travis Williams, Justin Hoffman. Assists: Dylan Lefebvre (5), Dallan Larson (3), Jesse Duncan (2), Spencer Watson (2), Stephen Watson, Patrick Belisle, Justin Hoffman. Goals: Adam Stewart (5), Brandon Whitehouse (4), Travis Williams (3), Spencer Watson (3), Carson Mayer (2), Patrick Belisle (2), Jesse Duncan (2), Dylan Lefebvre (2), Keenan Cummings, Tye Sabean, Reid Ewen. 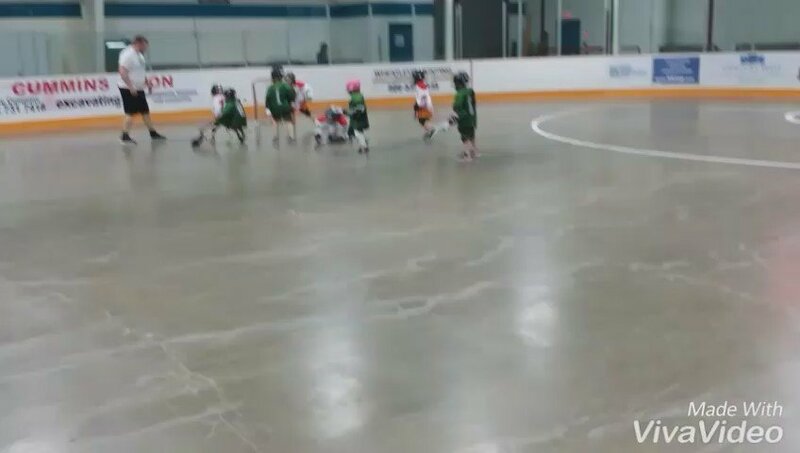 Assists: Dylan Lefebvre (7), Brandon Whitehouse (6), Travis Williams (4), Dallan Larson (4), Adam Stewart (4), Aiden Kerslake (3), Blake Schindel (3), Keenan Cummings (3), Carson Mayer (2), Jesse Duncan (2), Patrick Belisle, Spencer Watson. Goals: Kyle Bellegay (4), Travis Williams (2), Dallan Larson. Assists: Aiden Kerslake (2), Dallan Larson (2), Dylan Lefebvre (2), Travis Williams, Blake Schindel, Adam Stewart. Goals: Dylan Lefebvre (4), Dallan Larson (4), Blake Schindel (2), Mason Belanger (2), Travis Williams, Stephen Watson, Joe Laprairie, Keenan Cummings, Brandon Whitehouse. Assists: Kyle Bellegay (4), Joe Laprairie (3), Dylan Lefebvre (3), Patrick Belisle (2), Justin Hoffman (2), Mason Belanger (2), Cassidy Spillmann, Travis Williams, Stephen Watson, Blake Schindel, Keenan Cummings, Brandon Whitehouse. Goals: Adam Stewart (5), Dylan Lefebvre (3), Dallan Larson (3), Travis Williams (2), Jesse Duncan (2), Kyle Bellegay, Aiden Kerslake, Blake Schindel, Brandon Whitehouse. Assists: Joe Laprairie (4), Kyle Bellegay (2), Aiden Kerslake (2), Jesse Duncan (2), Dallan Larson (2), Adam Stewart (2), Travis Williams, Blake Schindel. Goals: Adam Stewart (6), Blake Schindel (2), Dallan Larson (2), Brandon Whitehouse (2), Travis Williams, Aiden Kerslake, Joe Laprairie. Assists: Cassidy Spillmann (3), Kyle Bellegay (3), Blake Schindel (2), Dylan Lefebvre (2), Travis Williams, Joe Laprairie, Dallan Larson, Mason Belanger. PGLL 1st place game against the Brewers. Winner takes all. This should be an exciting matchup! 2 Jun 17, 2018 Last night we beat the Chiefs, 16-6. This puts us into the final next week in Saskatoon, where we'll face either the Brewers or the Steelers. Hope everyone had a great Father's day today! 2 Jun 15, 2018 Our semi-final game tomorrow is 8:30pm at the Co-Operators Centre. We'll be facing off against the Moose Jaw Chiefs who are hungry for a win against your Regina Heat! This is a FREE event! 1 Jun 12, 2018 Your Regina Heat beat the Outlaws this weekend, 15-5, and have secured 2nd place. This coming weekend is the semi-final game. Date and time TBD! Jun 12, 2018 Lax Hut Village Toronto Tigers Sr Men's box lax team, needs players for Frank Menschner Cup. September 5th - 8th Rodatin Prague Czk Rep. If any players are interested? Pls contact Toronto Tigers on their face book page, & kindly send $ 50 player deposit fee due June 15th 1 Jun 9, 2018 A short bench in a muggy arena took its toll as the Heat lost to the Brewers, 19-7. Tomorrow we're back in Regina for the Outlaws, 2pm at Co-Operators Centre, but not before the Rush take home the championship! 1 Jun 7, 2018 Late post about this past weekend. It was a Heat victory, 15-4, over the Plainsmen. This weekend, we're heading up Saturday morning to face the Brewers, then we're back in Regina the next day to host the Outlaws. Jun 1, 2018 The Heat were victorious tonight over the SWAT, 14-3. Tomorrow we're playing the Plainsmen, 1pm at the Kinsmen. 1 May 27, 2018 The Heat faced off against a short-benched Impact team to win 18-3. Next weekend, we're back in Saskatoon to face the SWAT and Plainsmen! 1 May 17, 2018 Last night's game was a true team effort, winning 9-4 over the Chiefs. Now it's time to rest and recoup over the long weekend. We're back in action May 27. May 13, 2018 With some help from the Steelers' tender, we were unable to match the scoring pace, falling 10-6. Come out to Moose Jaw this Wednesday where we'll face the Chiefs. May 12, 2018 The Heat took control of the pace to beat the Outlaws, 15-8. We're heading back to Saskatoon to face the Steelers tomorrow at the Kinsmen, 11am. 1 May 6, 2018 The SWAT came out firing, but we climbed back to win 12-9. The Heat were the first men's box lacrosse team in Saskatchewan, and continue to be the only men's team in Regina. 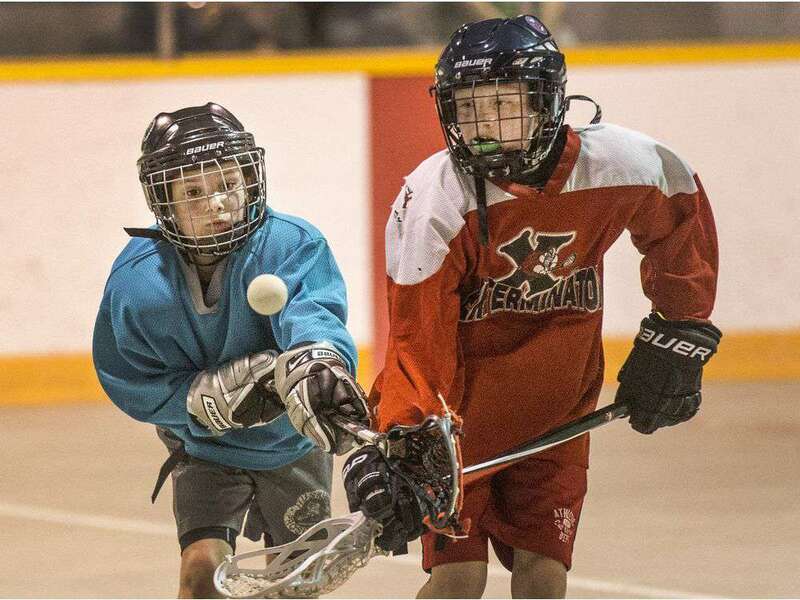 The team started out playing pick-up lacrosse games in local rinks, until the junior league — at the time called the Saskatchewan Major Box Lacrosse League — asked them to join. Of course, the group jumped at the chance, and The Heat was born! For the first few years, The Heat would play exhibition games against the local junior teams, and host their own tournaments to bring in men's competition from out of province. In 2006, the Saskatoon Brewers were added, and the league was renamed the Prairie Gold Lacrosse League. The PGLL's men's division was dominated by The Heat for a long while — winning 6 provincial championships in a row, and 7 of 8 overall. However, in recent years, the league has grown to form some strong opposition in Saskatoon, Estevan, and Moose Jaw. The Heat are always looking to grow the game — from coaching/reffing locally, to traveling to participate out of province in the Alcan Cup, and out of country in the Aleš Hřebeský Memorial Tournament — so they welcome the challenge. Entering into season number 17, the opponents will be the toughest yet!